After being told the county couldn't turn the hospital into an outpatient care facility, Cook County Board President Toni Preckwinkle says services will be scaled back. If even Cook County Board President Toni Preckwinkle thinks public employees have a sweet deal, they don’t have any allies left. According to this story in the Welles Park Bulldog, Preckwinkle is suggesting switching county employees from a defined benefit pension plan to a 401K plan. Preckwinkle went on to assert that government employees have more generous benefits than their counter parts in the private sector. One difference, Preckwinkle explained was the defined benefit pension that employees like those in Cook County have. In the private sector, most employees have 401K plans, which are referred to as defined contribution. 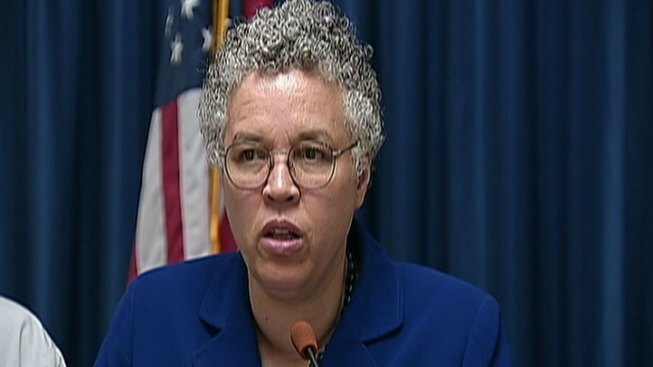 Preckwinkle explained that “we have to renegotiate the deal,” continuing, “workers will have to pay more.” Preckwinkle then said that if contributions aren’t renegotiated, the County pension system should be transformed into one that mirrors a 401K system. The defense department recently came under great controversy when it revealed that it was studying a similar idea. That’s surprising rhetoric from a former public school teacher who accepted campaign contributions from the Service Employees International Union. The Bulldog says Preckwinkle’s proposal places her to the right of Wisconsin Gov. Scott Walker and New Jersey Gov. Chris Christie. Both are anti-union Republicans, but neither has suggested putting state employees on a 401K plan. Our governor, Jennifer Granholm, told the teachers union the state could no longer afford a pure defined benefit plan for new school hires, in which the state is responsible for an employee’s entire retirement fund. Nor could we afford to allow teachers to retire at age 55 with a pension based on the average of their last three years’ salary. The teachers recognized that Michigan was in financial straits and that changes had to be made. We were willing to compromise, too. After discussions with the union, the legislature passed a plan for new hires that raised the retirement age to 60 (we'd wanted 65), based pensions on the last five years' salary (we'd wanted nine), and required teachers to contribute 3 percent of their pay to retiree health benefits. In exchange, the state is contributing 1 percent of teachers’ salaries to a 401(k) each year. In the end, we got a fair deal that saved Michigan millions of dollars, with potential savings of billions if the 3 percent contribution for retiree health benefits is ruled constitutional. So is Preckwinkle a union-buster, or is she trying to work with unions to create a more sustainable pension system?